On Board Games is a show about tabletop games from the perspective of game scholars, industry veterans, and game enthusiasts. We cover behind-the-scenes industry business, and topics ranging from design to marketing to social critique with our team of rotating hosts and recurring guests. We also provide straightforward, brief reviews featuring a Red, Yellow and Green light system. In this episode, Isaac talks with Philip DuBarry about his playtesting exploits. In this episode, Erik and Don do a Triple Play on story games. In this episode, Erik and Don talk with Marc Specter and Joe Hopkins from Grand Gamers Guild about designing games with a message. In this episode, Isaac talks with Nick Bently from Northstar Games about Outside-In game design. In this argument hour episode, Seth and TC talk about cognitive load in games. Isaac talks with Daniel Newman about attending smaller conventions. In this episode, Erik, Don, and Adrienne break out the red, green, and yellow lights for another batch of reviews. On Board Games talks with Steven Aramini about getting so much game in so few components. Don talks with Lisa and David Spiral, the Room Escape Artists, about the wide variety of tabletop escape room experiences. In this episode, Erik and Bruce look at the Jackbox Party Pack 5. On Board Games #331: What is Fun? In this episode, Erik and Don talk about what makes board games fun for people. In this episode, Don and Erik talk about the technological changes that have happened in board game design and production. Don and Erik dig into the review pile and look at a dozen games. On Board Games talks about their experiences this year at Pax Unplugged 2018. On Board Games has another argument between TC Petty III and Seth Jaffe, this time about loss aversion. On Board Games talks about their activities at BGG Con 2018. On Board Games talks with Peter C. Hayward about breaking into mass market retail. Don and Erik talk about enhancing your games with things like 3D printers, laser cutters, and craftiness. On Board Games talks with Nick Mariner and Troy Eisenberg about horror in games. On Board Games answers more question from the mail bag. On Board Games talks with John Brieger about game development with other’s IPs. On Board Games reads questions from the mailbag. On Board Games talks about games that give you flashbacks about other games. 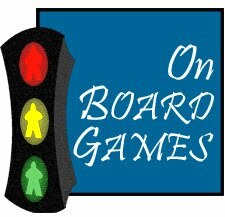 On Board Games discusses what games to play in strange circumstances. On Board Games #316: What is Development? 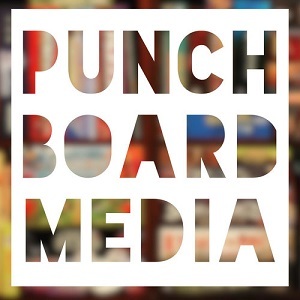 On Board Games discuss game development with Daniel Rocchi and Josh Cappel.